Upgrade your casual summer look with the Born Fremont. 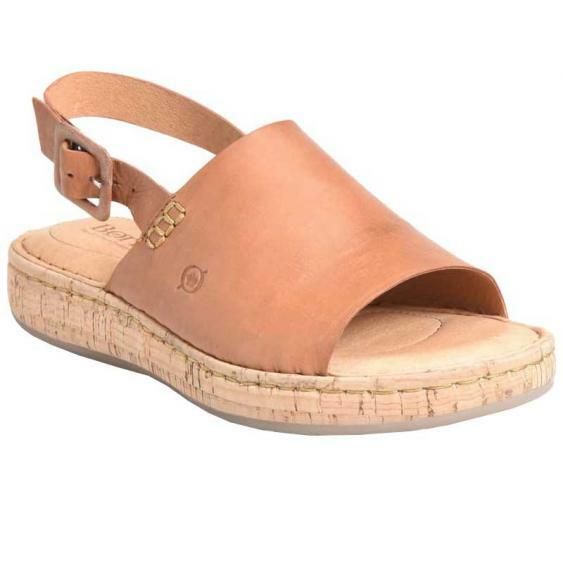 This women’s sandal has an upper made of beautiful full-grain leather with an adjustable ankle strap with buckle closure. Some subtle detail stitching and a cork-wrapped platform add a rustic touch to any look and Born’s Opanka Construction makes the Fremont lightweight, flexible, and durable. The leather covered footbed is generously cushioned and the PU outsole offers traction for a confident step so spend your summer in style and comfort with the Born Fremont.